girl I LOVE YOUR LEGS! LOVE LOVE LOVE this look, babe. Mixin’ it up is where it’s at! Always killin’ it, hun. And I wanted to comment on your look above! But for the life of me can’t find a comment button. LOL. 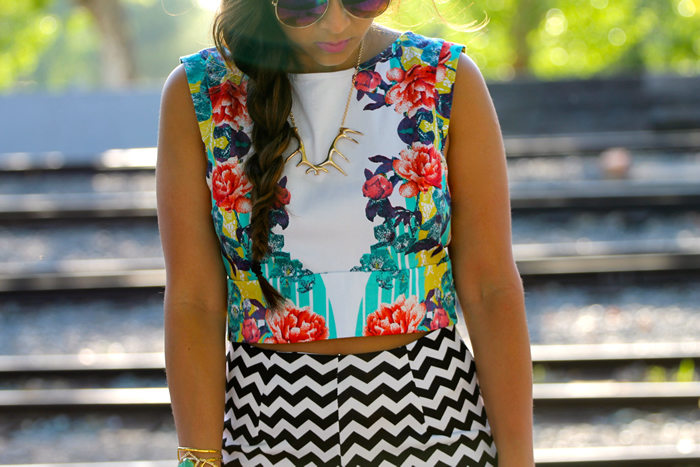 That skirt is GORGEOUS! I love longer length and the asym hemline… and that color! Brilliantly AMAZEBALLS! Again, congrats on the opening of your website. It’s looks fantastic and so are you, and so is your hubby, with his super rad photog skillzz. I hope you have a great weekend. Wuv and miss u, boo. Cheers to great week! Holy guacamole……someone’s really looking so glam & fun!!! 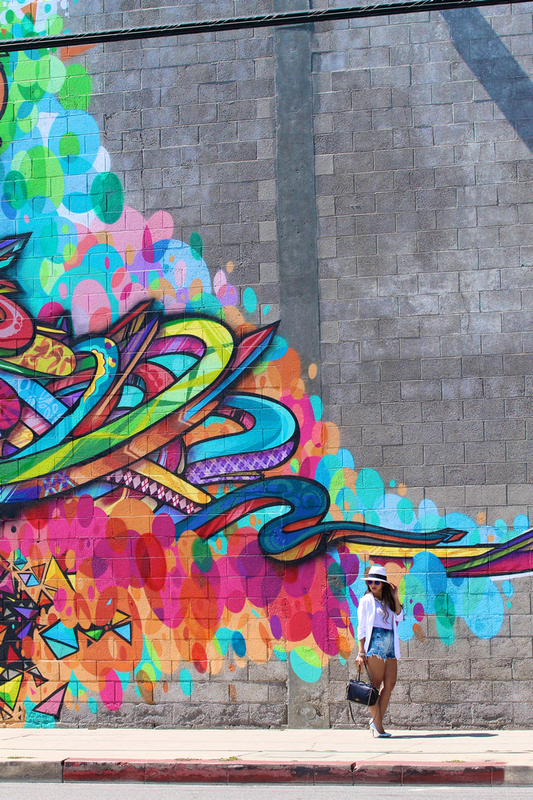 Everything is amazing but I love how the blue sunnies are reflecting all the colors of the mural!!! 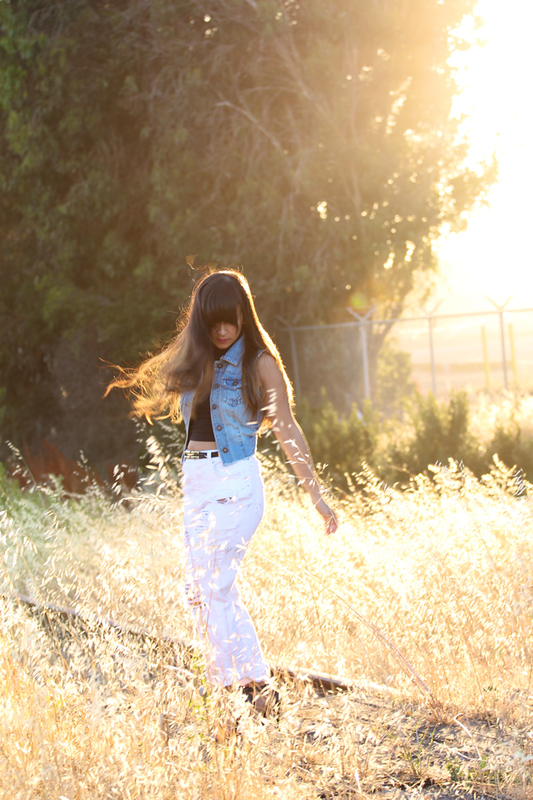 Love the chic white blazer with the distressed cutoffs! And…wow! What a statement necklace!! Hi Pip! The necklace is actually really lightweight. I’m usually not a huge fan of heavy jewelry either and this is perfect! Denim and white go perfect together and that blazer is gorgeous! This outfit is so you and that wall completes the look totally. Love the juxtaposition :) I’ve been wanting to get a chunkier necklace or a while, like the one you’re wearing. I was wondering – are they heavy enough to strain the neck? OH MY GOODNESS such absolutely fantastic shots! 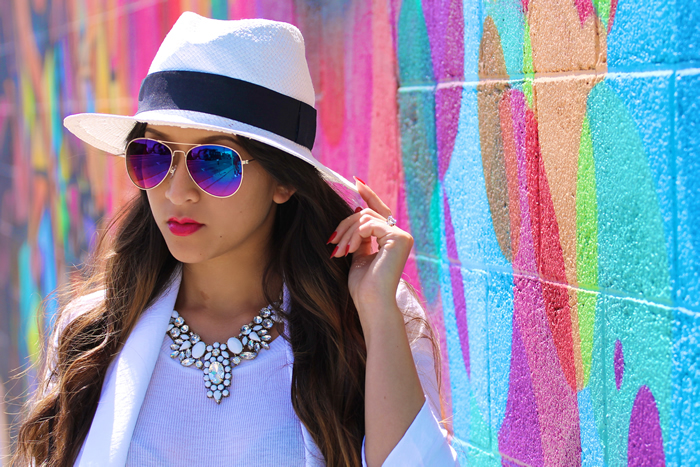 I really love the color contrast between that amazing wall and your mostly white outfit. 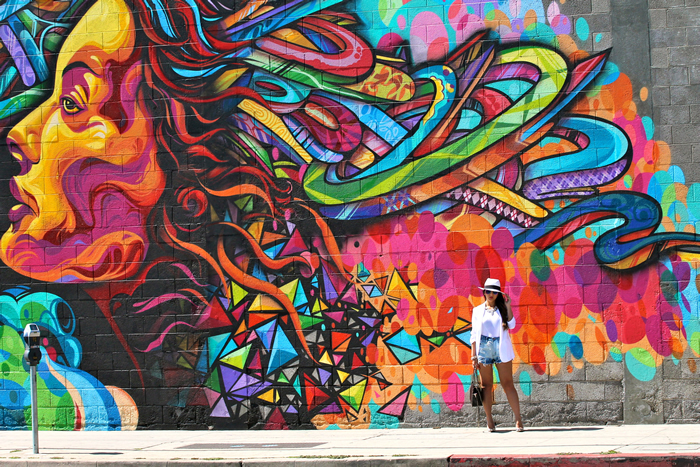 :) LA is pretty much on point with awesome walls and street art… makes me miss that city all the more! This is definitely one of my more recent faves! wow, what an awesome piece of street art! these photos are so vibrant, love this! Perfect! 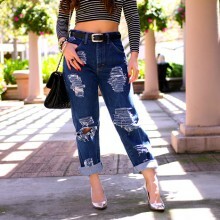 Just obsessed with this post and your style! You look amazing girl, these shorts are killer! That wall is FANTASTIC and I so love this outfit! Those glasses I want like right now! looking fabulous as always dear,I looove these shots! stunning , love everything and those sunglasses.